Theoretical chemistry is the discipline that uses quantum mechanics, classical mechanics, and statistical mechanics to explain the structures and dynamics of chemical systems and to correlate, understand, and predict their thermodynamic and kinetic properties. Modern theoretical chemistry may be roughly divided into the study of chemical structure and the study of chemical dynamics. The former includes studies of: (a) electronic structure, potential energy surfaces, and force fields; (b) vibrational-rotational motion; and (c) equilibrium properties of condensed-phase systems and macro-molecules. Chemical dynamics includes: (a) bimolecular kinetics and the collision theory of reactions and energy transfer; (b) unimolecular rate theory and metastable states; and (c) condensed-phase and macromolecular aspects of dynamics. Chemical physics is a sub field of chemistry and physics that investigates physicochemical phenomena using techniques from molecular and atomic physics and condensed matter physics; it is the branch of physics that studies chemical processes from the point of perspective of physics. While at the interface of physics and chemistry, chemical physics is distinct from physical chemistry in that it focuses more on the typical elements and theories of physics. Meanwhile, physical chemistry observes the physical nature of chemistry. 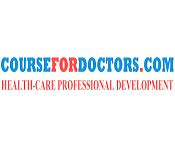 Nonetheless, the distinction between the two fields is vague, and workers usually practice in both fields during the course of their research. Chemistry, by its very nature, is related with change. Substances with well-defined properties are converted by chemical reactions into other substances with distinct properties. For any chemical reaction, chemists try to find out the practicality of a chemical reaction which can be predicted by thermodynamics, extent to which a reaction will continue can be determined from chemical equilibrium and speed of a reaction i.e. time taken by a reaction to reach equilibrium. Along with viability and extent, it is equally important to know the rate and the factors controlling the rate of chemical reaction for its thorough understanding. For example, which parameters determine as to how rapidly food gets spoiled? How to design a rapidly setting material for dental filling? Or what controls the rate at which fuel ignites in an auto engine? All these questions can be answered by the branch of chemistry, which deals with the study of reaction rates and their mechanisms, called chemical kinetics. Surface science is the study of physical and chemical phenomenon that occur at the interface of two phases, including solid–liquid interfaces, solid–gas interfaces, solid–vacuum interfaces, and liquid–gas interfaces. It includes the fields of surface chemistry and surface physics. Surface chemistry can be roughly defined as the study of chemical reactions at interfaces. It is closely associated to surface engineering, which aims at modifying the chemical composition of a surface by incorporation of selected elements or functional groups that generate various desired effects or improvements in the properties of the surface or interface. 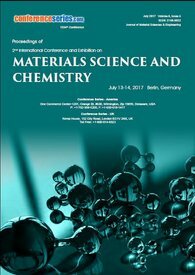 Surface science is of specific importance to the fields of heterogeneous catalysis, electrochemistry, and geochemistry. Spectroscopy is study of the absorption and emission of light and other radiation by matter, as related to the dependence of these procedures on the wavelength of the radiation. More recently, the definition has been expanded to include the study of the relations between particles such as electrons, protons, and ions, as well as their interaction with other particles as a role of their collision energy. Spectroscopic analysis has been crucial in the development of the most fundamental hypothesis in physics, including quantum mechanics, the special and general theories of relativity, and quantum electrodynamics. Spectroscopy, as applied to high-energy collisions, has been a key tool in developing scientific consideration not only of the electromagnetic force but also of the strong and weak nuclear forces. Spectroscopic techniques are exceptionally sensitive. Single atoms and even different isotopes of the same atom can be detected among 1020 or more atoms of a distinct species. Trace amounts of pollutants or contaminants are often detected most effectively by spectroscopic techniques. The study of chemical reactions, isomerizations and physical behavior that may occur under the influence of visible and/or ultraviolet light is known as Photochemistry. Photochemistry is the underlying mechanism for all of photobiology. When a molecule absorbs a photon of light, its electronic constitution changes, and it reacts differently with other molecules. The energy that is absorbed from light can effect in photochemical changes in the absorbing molecule, or in an adjacent molecule (e.g., photosensitization). The energy can also be set off as heat, or as lower energy light, i.e., fluorescence or phosphorescence, in order to give back the molecule to its ground state. Each type of molecule has a different preference for which of these different mechanisms it utilizes to get rid of absorbed photon energy, e.g., some prefer fluorescence over chemistry. Quantum chemistry is a field of chemistry whose primary focus is the application of quantum mechanics in physical models and experiments of chemical systems. It is also known as molecular quantum mechanics. Quantum chemistry is the application of quantum mechanical theories and equations to the study of molecules. In order to understand matter at its most fundamental measure, we must utilize quantum mechanical models and methods. There are two aspects of quantum mechanics that make it differ from previous models of matter. The first is the concept of wave-particle duality; that is, the notion that we want to think of very small objects (such as electrons) as having characteristics of both particles and waves. Second, quantum mechanical models precisely predict that the energy of atoms and molecules is always quantized, meaning that they may have only certain amounts of energy. Quantum chemical theories allow us to elucidate the structure of the periodic table, and quantum chemical calculations allow us to accurately predict the structures of molecules and the spectroscopic behaviour of atoms and molecules. Solid-state chemistry, also sometimes mentioned to as materials chemistry, is the study of the synthesis, structure, and properties of solid phase materials, peculiarly, but not necessarily exclusively of, non-molecular solids. Solid-state chemistry continues to play an amplifying role in an astounding array of disciplines. As the discovery of new physical phenomena has often depended on the progression of new materials, the synthesis of new solid-state materials and kinetically solid composites with optimized properties is of central importance. While solid-state materials have historically been developed through high temperature solid-state reactions, generally affording the most thermodynamically stable phases, a variety of techniques have been developed to master the limitations inherent in this traditional approach. Biophysical chemistry is a physical science that uses the concepts of physics and physical chemistry for the study of biological systems. 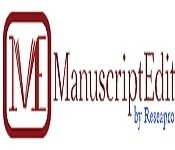 The most common feature of the research in this subject is to seek explanation of the various phenomena in biological systems in terms of either the molecules that make up the system or the supra-molecular structure of these systems. Biophysical chemists employ various techniques used in physical chemistry to probe the structure of biological systems. These techniques include spectroscopic methods such as nuclear magnetic resonance (NMR) and X-ray diffraction. Electrochemistry is the branch of chemistry which deals with the chemical changes caused in the matter by passage of electric current and conversion of chemical energy into electrical energy and vice versa. Electrochemistry deals with the study of electrical properties of solutions of electrolytes and with the interrelation of chemical phenomenon and electrical energies. It is the study of production of electricity from energy released during impulsive chemical reactions and the use of electrical energy to bring about non-spontaneous chemical reactions. 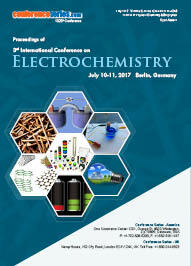 Electrochemistry is not only limited up to chemistry but its branches extend to physics and biology also. Organometallic-chemistry is the study of the chemical synthesis, chemical structure and reactivity of chemical combination that carry metal carbon bonds, these compounds are often used as similar catalysts. Organometallic compounds, matter containing one metal to carbon atoms in which the carbon is piece of an organic group. Organometallic compounds played a major part in the development of chemistry structures. The physicochemical characteristics of organometallic compounds are solids, some are liquids and some are gases. 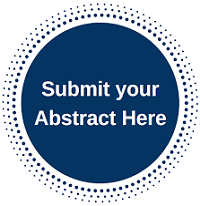 With the grand success of Physical Chemistry 2018, Conference Series is now proud to announce the 6th International conference on Physical and Theoretical Chemistry, which is to be held during September 02-03, 2019 at Zurich, Switzerland. 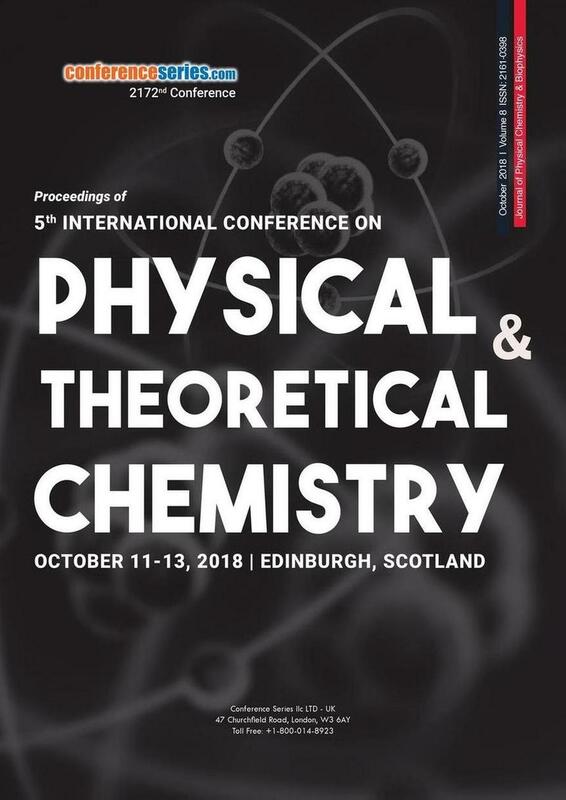 On this great gathering, Organizing Committee invites participants from all over the globe to take part in this annual conference with the theme “Unique Pioneering Research strategies and approaches in Physical and Theoretical Chemistry”. 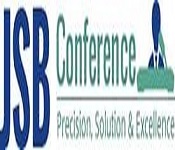 Physical Chemistry 2019 aims at sharing new ideas and new technologies amongst the professionals, industrialists and students from research areas of Physical Chemistry, Theoretical Chemistry, Electrochemistry, Photochemistry, Computational Chemistry, Chemical Engineering and Chemical Physics to share their recent innovations and applications in various fields and indulge in interactive discussions and technical sessions at the event. The Conference will also have a space for companies and/or institutions to present their services, products, innovations and research results. Physical and Theoretical Chemistry involves the tracks like Physical Chemistry: A Molecular Approach, Theoretical and Computational Chemistry, Chemical Physics, Photochemistry, Quantum Chemistry, Biophysical Chemistry, Solid-state Chemistry, Spectroscopy, Surface Science, Chemical Kinetics, Electrochemistry, Organometallic Chemistry. 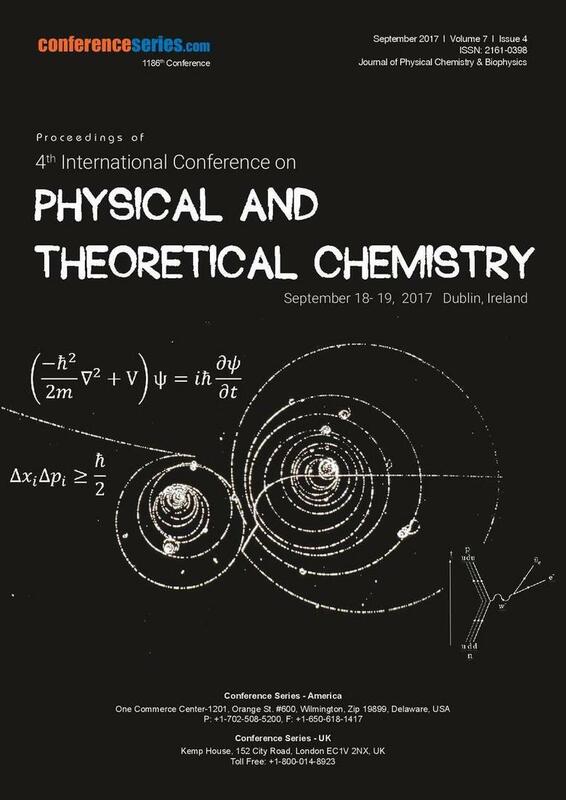 6th International Conference on Physical and Theoretical Chemistry, which is going to be the biggest conference dedicated to physical and theoretical chemistry professionals providing a premier technical forum for reporting and learning about the latest new generation technologies developed during the course of time along with discussing their applications. Events include hot topics presentations from all over the world and professional networking with industries, leading working groups and panels. Meet your objective business sector with individuals from and around the globe concentrated on finding out about Physical and Theoretical Chemistry, this is the best chance to achieve the biggest collection of members from everywhere throughout the World. Conduct shows, disperse data, meet with current, make a sprinkle with another product offering, and get name acknowledgment at this occasion. Widely acclaimed speakers, the latest methods, strategies, and the most up to date overhauls in Physical and Theoretical Chemistry are signs of this meeting. The global chemical industry is estimated to be US $2.4 trillion dollars contributing significantly in the market growth of US, Europe, and Middle East Countries. The demand for chemical products is highest in the Asia, Japan and Korea. The annual US chemical output alone is US $750 billion dollars. The global chemical industry market is expected to grow at a CAGR of 3.7% by 2020. According to American Chemistry Council, the global chemicals industry breached the US$5 trillion sales mark in 2013. According to the U.S. Bureau of Labor Statistics, chemists and material scientists can expect their field to grow slower than average through 2020. 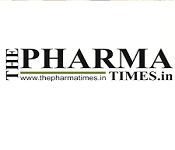 Growth markets such as China, Brazil, and India stimulate demand for basic chemicals whereas in developed regions, chemicals formulated for specialized applications will see a progressive rise in demand. The cellulose ether & derivatives market is projected to be worth USD 6.30 Billion, by 2020, registering a CAGR of 7.2% between 2015 and 2020. The global carbon nanotubes market size (2015–2020) is estimated to reach USD 5.64 Billion by 2020 at a CAGR of 20.1%. The market size of amines is estimated to grow from USD 13.35 Billion in 2015 to USD 19.90 Billion by 2020. Leading vendors in the market are, Agilent, Bruker, HORIBA, Danaher, Thermo Fischer. Other vendors in the market include ABB, B&W Tek, Hitachi, Illumina, JASCO, PerkinElmer, Siemens, and Waters.